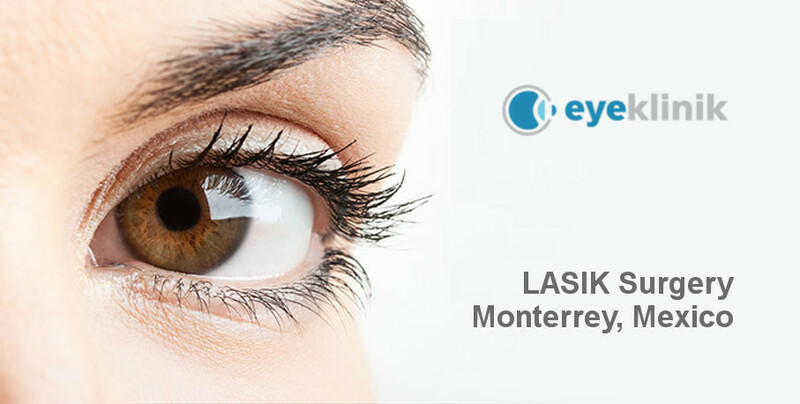 At EyeKlinik you’ll find physicians specializing in LASIK Surgery Monterrey. They are endorsed by recognized academic institutions and they also make use of the leading brands of laser technology for eye surgery. Refractive surgery refers to surgical procedures that allow the modification of common vision problems such as astigmatism, myopia, and farsightedness. Eliminating the need to use common lenses or contact lenses. LASIK is currently the safest, most accurate, and most frequently performed technique for treating refractive problems such as myopia, farsightedness and astigmatism. With this surgery you can achieve a 20/20 vision (normal vision) without the need to use common or contact lenses. LASIK is an outpatient surgical procedure used to treat vision problems. In this procedure, a laser will reshape the cornea, which is in the front part of the eye. LASIK will improve the way the eye focuses light rays on the retina, which is the back of the eye. This will allow a significant improvement in your vision. During LASIK surgery Monterrey, a change in the curvature of the cornea is made by creating a flap, then lifting and being able to apply the laser in a painless way. Finally, the part of the cornea that has been lifted (flap) is replaced and the same procedure is performed on both eyes. What should I do to get a LASIK Sugery Monterrey? Step 1. Schedule a consultation so that you can have a full eye exam at Eyeklinik. Step 2. An eye test is performed to be able to determine if the patient is a candidate for LASIK. Step 3. A second consultation is needed to review the outcome of the test and to schedule the date of the surgery. Step 4. The surgery is performed on an outpatient basis (does not require hospitalization). Laser surgery lasts an average of 10 minutes for both eyes. Local anesthesia is used, so the patient is conscious during the procedure. Once the surgery is finished, you will have to use an eyeglass protector, which should be carried for 24 hours. Step 5. You should go for four visits after the surgery (the following day, one week later, one month and three months after). After the LASIK procedure, your vision will be blurred and you may feel a bit burning sensation, but this will improve after a few hours. The day after surgery your vision will be almost 100% restored and discomfort will be minimal. But if you are not a candidate for laser eye surgery with LASIK, there are alternatives, there are different correction surgeries.